As one half of space-age hip-hop duo THEESatisfaction, Cat Harris-White has been honing her skills via a series of promising, rough-edged Bandcamp EPs that give an air of quiet expectation to her debut solo LP. 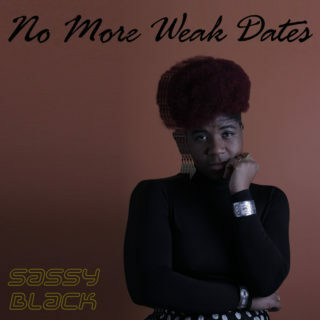 ‘No More Weak Dates,’ as its title hints, takes the early stages of courtship as its subject, acting as a concept album on the highs, lows, fruits and frustrations of the process of seeking out a lover in 2016. And Harris-White paints those early, butterfly-inducing steps into the unknown with great skill so that when she evokes the fizzing vulnerabilities, leaps of trust and harsh lessons of a nascent relationship she does so nimbly: very much from the point of view of a gay, black female but while addressing the universality of the themes. And in this sense the album is a success. But this is not a book of poetry and unfortunately the same cannot be said of the music. A key part of THEESatisfaction’s draw is their resolve not to fall into worn-out melody lines and stale structures but too often the songs here are loose to the point of meandering, with the hypnotic mantras that have become her band’s calling card stumbling towards limp repetition. There are exceptions – ‘Mysterious Calls’, ‘Secret Dreams of a Baller’ and ‘Forest of Desire’ see the collection chugging into an intermittent groove – but they serve only to prove the rule as jazz chords are thrown together seemingly at random and tracks wander towards frustratingly overdue conclusions.